Sometimes when I’m in bed, early in the morning, I think, “I could go back to sleep, or I could get up early, sneak downstairs, and have coffee all by myself.” Can I let you in on a little secret? Coffee and “me time” always wins! Most mornings around here are so rushed and hectic that I end up reheating my coffee two or three times. Usually I can tell the type of day this Mamma will have by the number of times I need to reheat my coffee. By mid-morning, I usually find my coffee cup in bizarre places like yesterday’s cup on the bathroom sink, sadly sitting on the dresser in one of my kids’ rooms, or my personal favorite, still hanging out in the microwave from one of my many reheats.Sigh. So in order to get a little “me time” and to drink my coffee while it’s still hot, it’s early mornings for this lady. I really don’t mind the early mornings, and now that summer is upon us,the warmer weather makes drinking hot coffee all day a little difficult for me. So I’m getting really creative and making some of my favorite iced coffee drinks at home. But the key to a great iced coffee is the same as hot coffee: you have to start with a really delicious brand of coffee. 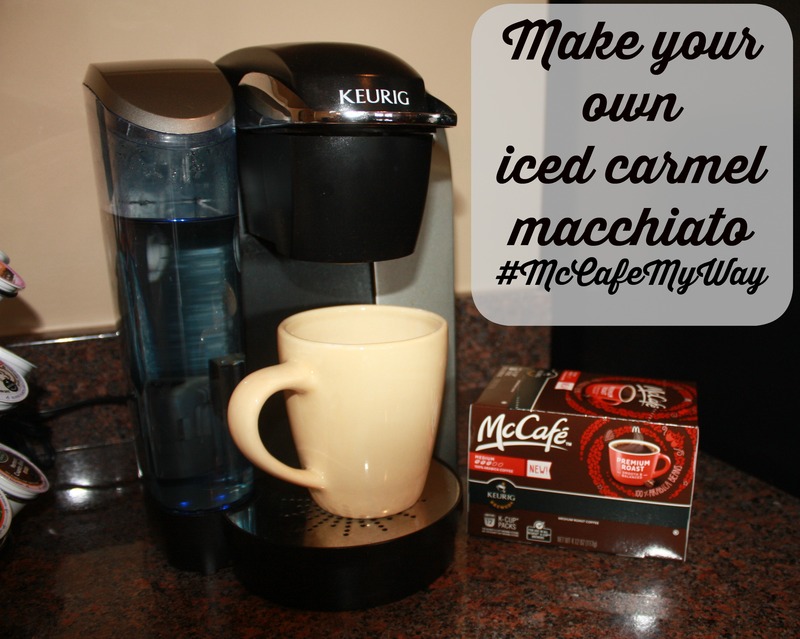 So for this recipe and all of my daily hot and reheated coffee, I’m loving McCafé coffee pods. Have you tried them yet? 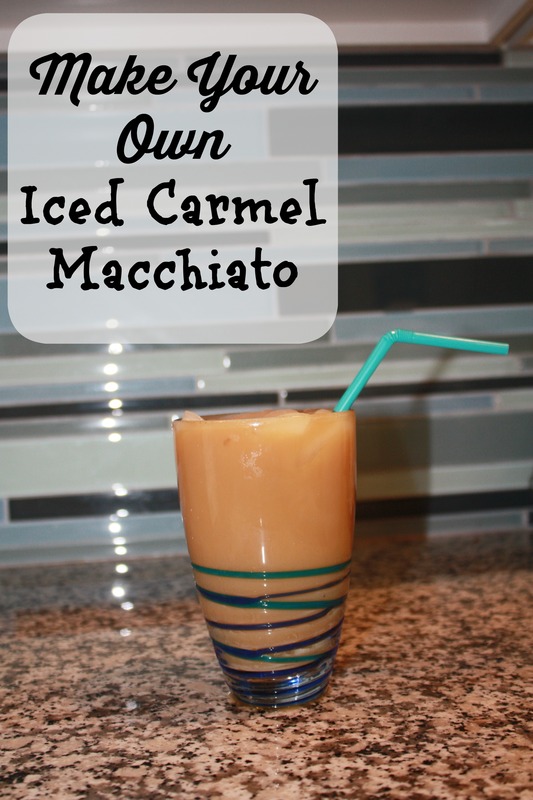 I’m sort of in love with them and they worked perfectly in my iced carmel macchiato recipe! 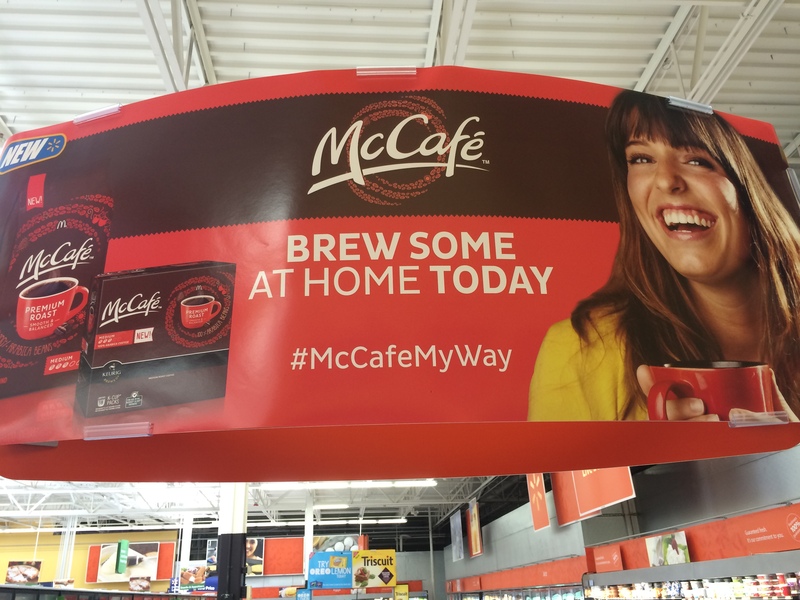 Step 1: Brew one McCafé coffee pod on the 8 or 10 oz setting. Step 2: In a separate cup, pour 1-2 tbs vanilla coffee syrup. Step 3: Add 1 cup Vanilla Almond Milk. Step 4: Add 1/2 cup ice to cup. Step 5: Pour the brewed coffee over all ingredients. This recipe is so good and so easy, you will thank me the when you need a little coffee and me time this summer! If you need more inspiration, check out the Kick Off Your Summer Cookbook website. It has recipes, sweepstakes, loyalty programs, coupons and more! What’s not to love? If you’re looking for a new dinner idea or a chance to win some awesome prizes, be sure to check it out! 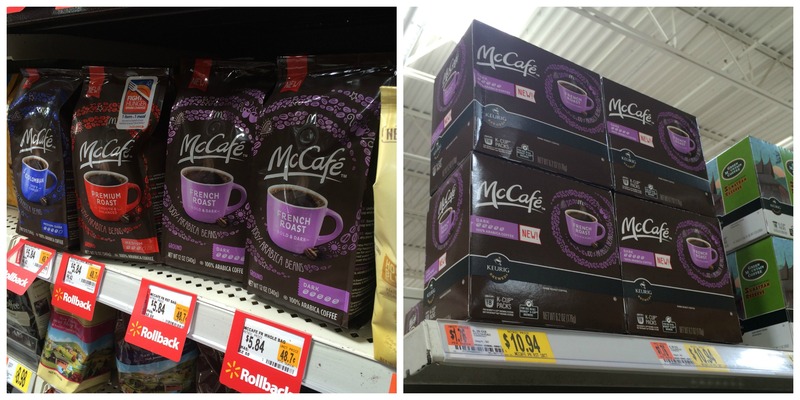 I grabbed my McCafé coffee pods and a few bags for when we travel this summer while I was shopping at Walmart. 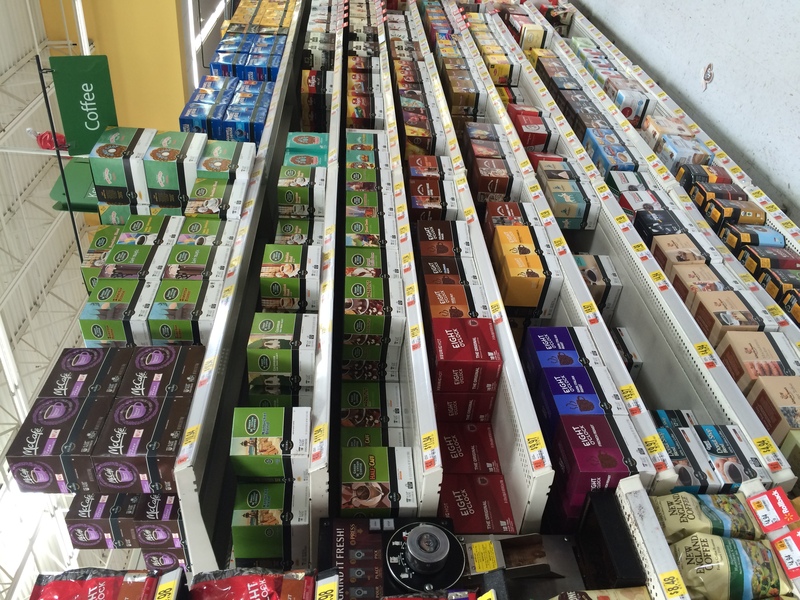 There was even a McCafé demo happening at Walmart the day I was there so I had the chance to sample a few of the flavors. They were all are really yummy, but the hazelnut was my favorite. 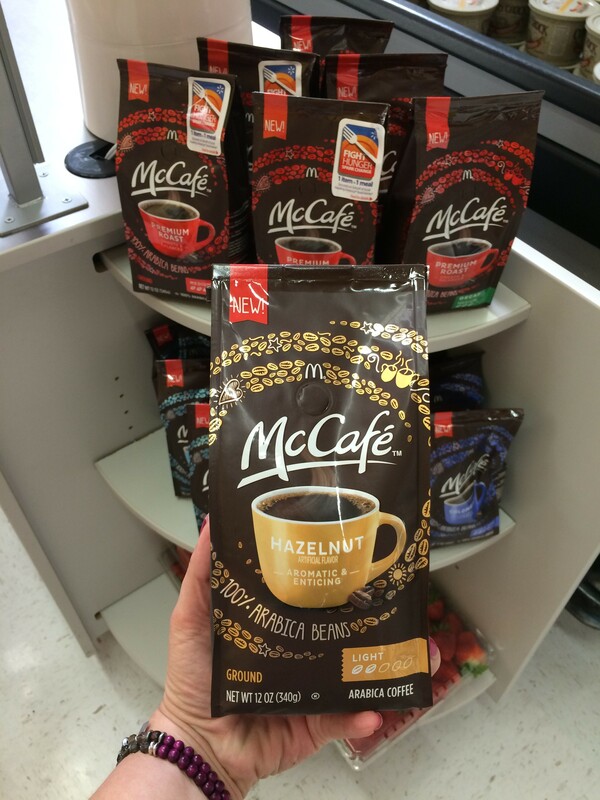 So whatever way you brew your coffee, you can grab McCafé in bags in coffee pods. The coffee also comes in lots of options with 8 flavors to choose from, and is made with 100% Arabica Beans which means you are getting premium quality coffee. Are you a coffee person like me? If so, tell me your favorite flavor or coffee treat in the comment! I love this. It would save me a fortune at Starbucks, too. Thanks for sharing this! I’d much rather make my own delicious coffee nom noms than pay for it! That sounds really good! I love iced coffee like this, but I don’t love paying $5.00 for it. Thanks a lot! That sounds great! I’m a tea girl rather than coffee. All my friends are coffee freaks though, I’m sure they’d love this! Wow that sounds really good! I need to pick up some of those cups for when my kids come to visit. I love caramel macchiato. I can’t wait to make my own at home. Nothing like a yummy coffee pick me up during a tired afternoon. I love homemade versions and so does my bank account! Oh yes I definitely need to do this! I’ll be trying this out at home for sure! Oh your iced carmel macchiato recipe sounds delicious and with your step by step directions I think I could actually make it! Yum! Thank you for sharing this. What a great way to save. This coffee recipe looks really good. Thanks for sharing this drink recipe with us. 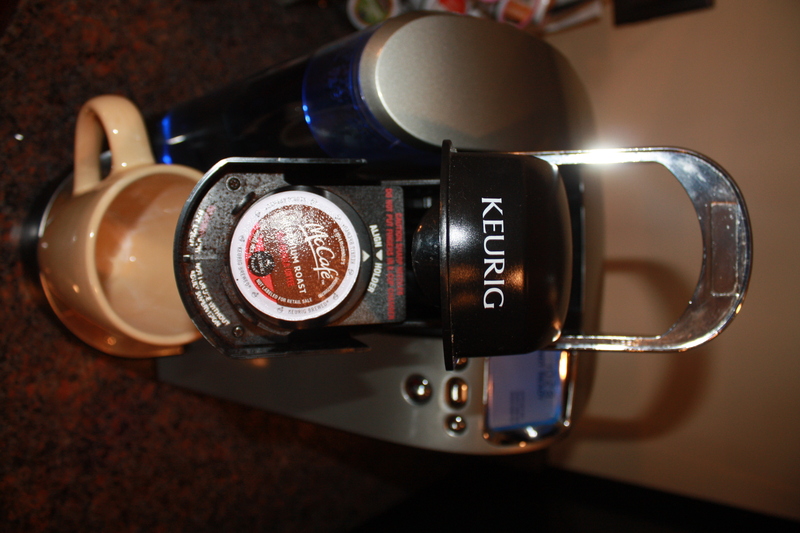 I have a Keurig! I will most certainly have to try this out. I think I am the only blogger on the planet not fueled by coffee. I also don’t dig either, I’m just not a ‘hot’ beverage gal, when I am drinking tea it’s only because I am super sick in the winter. I even prefer my soda sans caffeine! I love McDonald’s coffee! I had no idea you could buy it to take home! I love my Keurig machine, and love making iced drinks too. Even blending them for homemade frapps! I love my coffee. It can get pretty costly to keep going out to buy coffee drinks, so being able to make them at home is appreciated. Can’t wait to try this. I was craving iced coffee yesterday. I need to save this recipe and make my own next time! Definitely one of my coffee weaknesses for summer! I love this easy make at home variety! 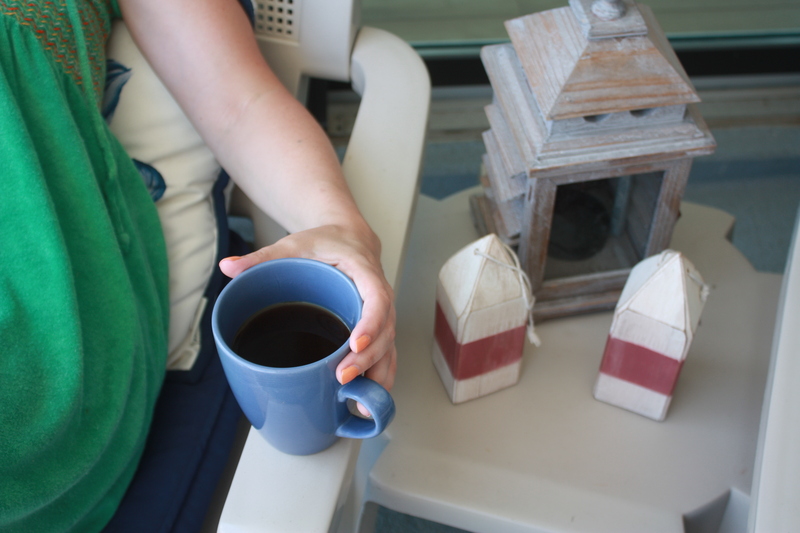 I LOVE coffee but I’ve had to go decaf due to my pregnancy! My mom would LOVE this drink! I kid you not, I have 4 bags of McD coffee in my coffee cupboard. I love this stuff. I am a huge fan of other coffees too, but McD has such great flavor that comes out in my french press. I’ll have to try this. My husband was just talking about trying to make iced coffee at home. This looks like a delicious coffee recipe. I love to make french vanilla with an espresso shot in it. I will have to try this recipe. I love the McCafe coffee pods. I don’t go for iced coffees that much, but I know that this would be up my wife’s alley. I’m really crazy over salted mocha caramel right now, but loving anything caramel… I have this coffee right now, so I’m making this today! That’s my favorite drink in the summer. I love coffee and love caramel. Put them together and I’m in heaven!